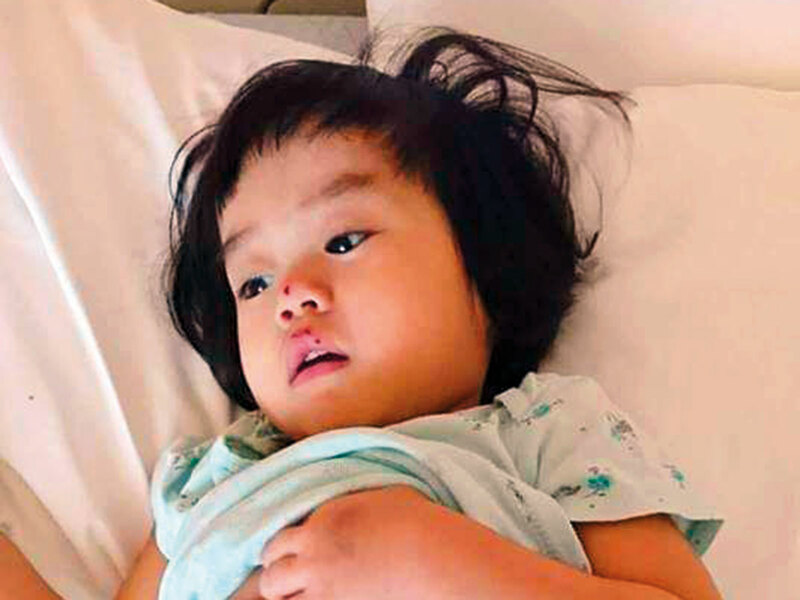 Dubai: Parents of two-year-old toddler who requires a liver transplant are appealing for financial help. 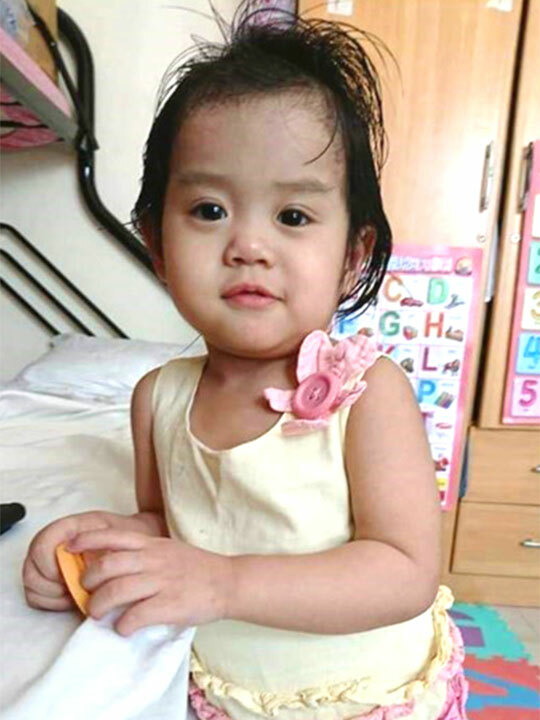 Baby Adelaide Callanta, born on August 28, 2016, to Josephine Callanta (35) and Gerard Callanta (41) developed Biliary Atresia, a congenital liver condition that requires a liver transplant. Josephine, the mother of three daughters, who is a civil engineer, had to give up her job to care for her youngest daughter. “At birth, Addy (Adelaide) looked perfectly healthy. But within a month she started looking extremely yellow to me, her poop was white and her stomach was bloated. As an observant mother, I read up on these symptoms and alerted the doctors,” she told Gulf News. The Callantas had to consult two hospitals and had their daughter go through a battery of scans before they got a confirmed diagnosis and by then Baby Addy had grown more sick. In the meanwhile, Gerard, who recently got employed as an accountant after having been unemployed for sometime, got his tissue match done and he discovered that he could donate part of his liver as a living donor. But the surgery, which will have to be carried out in India and the after care will require Dh250,000 totally. The gastroenterologists treating Baby Addy advised them to have the surgery in India because it had the most reasonable price rate. Besides, the Callantas are in no position to foot the bills. The Callantas, in the meanwhile had an emergency surgery carried out on Baby Addy in Al Qasimiya Hospital. The procedure was done to relieve of the bile build up and facilitate its flow to the intestines. “It was an eight-hour surgery and my daughter has been temporarily relieved. But she requires a quick liver transplant,” said Josephine. Baby Addy is a sweet and lively girl who loves playing with her sisters. “I am praying that the life of my beautiful daughter can be saved and she is able to live a normal active life,” said Josephine. Biliary atresia (BA) is a rare, life-threatening condition in which the ducts that carry bile from the liver to the gallbladder become blocked. The chances of surviving this condition with the native liver are not very high. Usually babies suffering from this condition have a 100 per cent chance of recovery with a liver transplant.